Ever since Ford came out with the Aspire, the car has managed to create an identity for itself which is of being a good driver’s car. But then there were a few features that the car could have used. 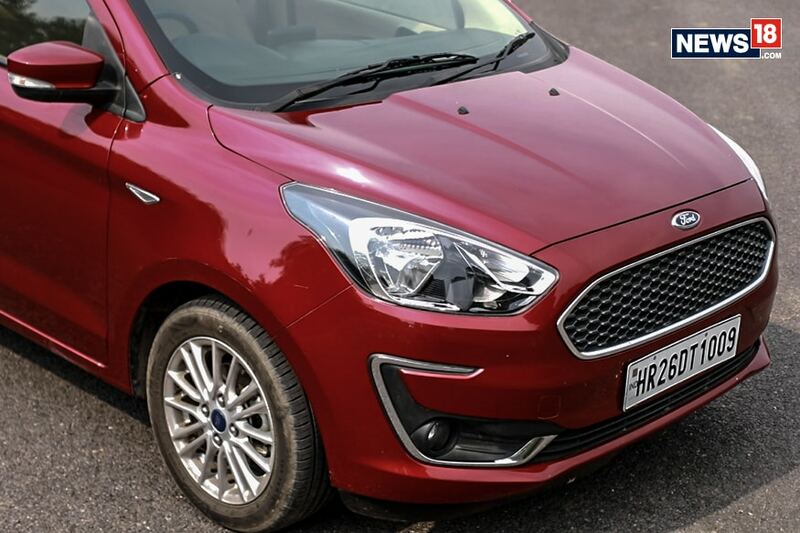 Now, though, seems like Ford has heard to their customers as they have now come out with the new Aspire that not only gets new features but also new styling. But does that mean it is better value for money than before? Let’s find out. Let’s start with the way the new Aspire looks. The biggest visual update is the redesigned front-end. The Aspire gets a new grille design which sports ample out of chrome for the chrome-lovers out there and the fog lamp enclosures now extend into the bumper to give it a c-shape design and yes, gets the chrome treatment as well. The headlamps have been smoked out and even they get a chrome element inside! 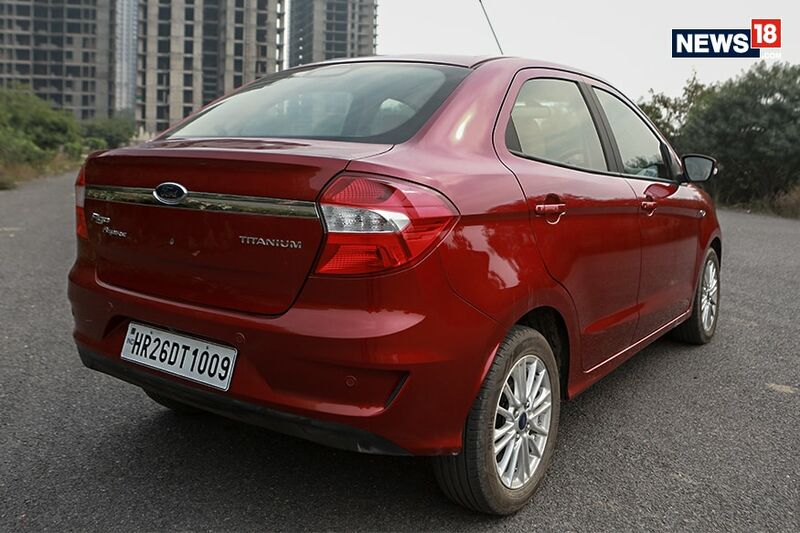 Coming to the back of the car, the thick chrome strip that runs across the width of the boot lid remains the same as the earlier model whereas the rear bumper has been redesigned. Look closer and you will notice that the tail lights get new detailing. As for the side profile, well, it still has that muscular and strong shoulder line which is now complemented by new 15-inch alloy wheels. Overall, the car looks fresh and more up to date. However, there is no LED Daytime Running Lights (DRL), projector headlamps or LED tail lights on offer even in the top-spec variant, which is something that the competing cars in this segment do come with. Is it a deal breaker? and does it make that much of a difference? Not at all, but it is something that would have been nice to have. Moving on to the inside of the car and the first thing that you will notice is that the cabin has the familiar Ford layout. 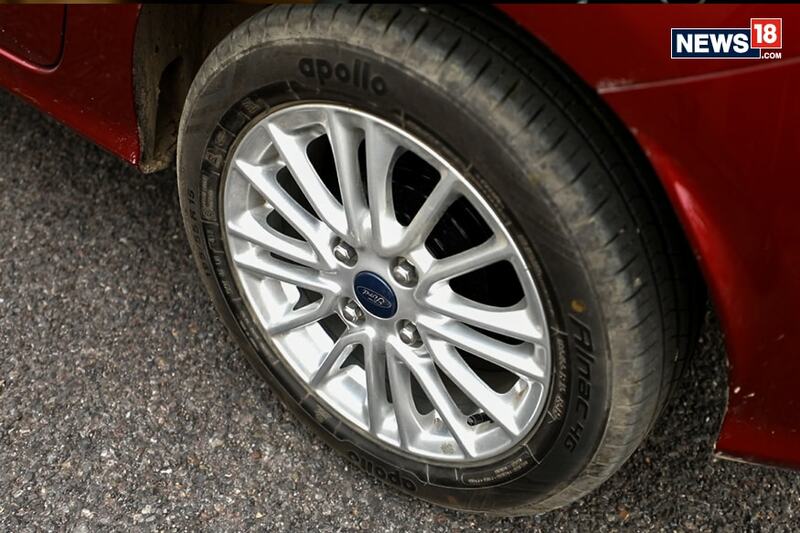 The build quality is great and so is the quality of materials used – something that Ford is known for. Gone are the leather seats making way for the new fabric seats that have better bolstering. There is enough room for passengers all around the cabin but the car surprisingly does not have a rear AC vent or a charging port for the rear passengers which is a big miss. Add to that the absence of cup holders in the rear armrest and no bottle holders in the rear doors which is a bit surprising, to be honest. 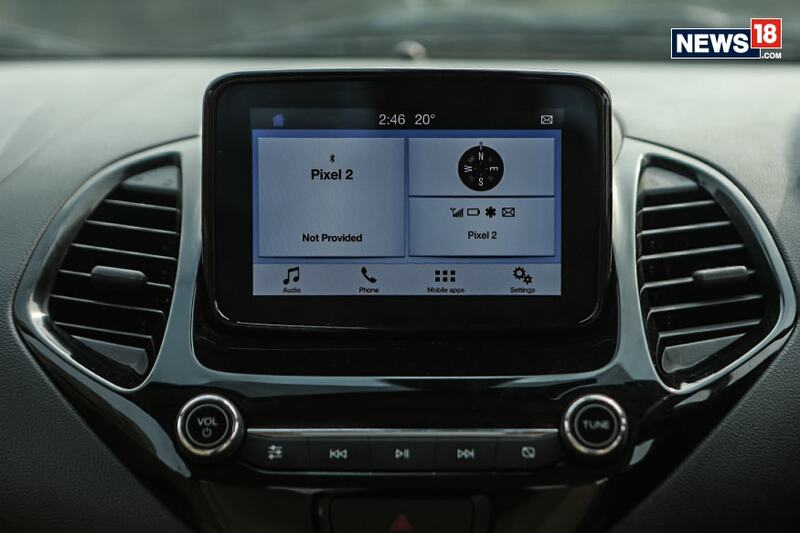 The Aspire’s saving grace, though, is the new touchscreen infotainment system. We drove the top-spec variant which actually gets a smaller 6.5-inch screen as opposed to a 7-inch screen that the lower variants get, but it offers the Android Auto and Apple CarPlay support which the lower variants don’t. There are also two USB ports placed in the centre console and the car gets the usual Bluetooth connectivity along with steering mounted controls. The outside rearview mirrors can now be operated electronically and I absolutely loved the rotary knobs for the volume and aircon controls which feel premium. 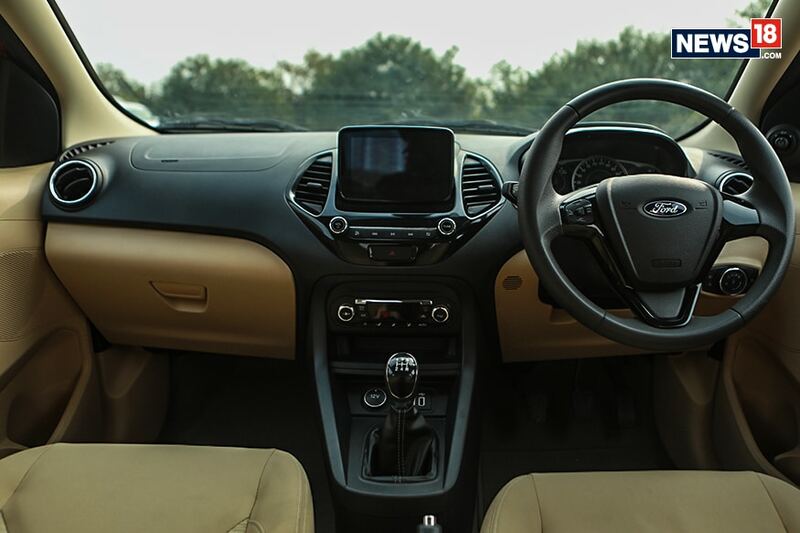 But coming to the infotainment system, it gets Ford’s SYNC 3 technology and simply put – this is the best infotainment system in the compact sedan segment in India right now. The touch response is simply fantastic and there’s also a reverse parking camera that the new Aspire gets. Then, there’s the addition of automatic headlamps and rain sensing vipers as well. So yes, the new touchscreen infotainment system is the highlight of the cabin but what I really liked was the driving ergonomics that the car has to offer. Especially the chunky steering wheel which is just fantastic to hold. And this isn’t that big of a surprise. 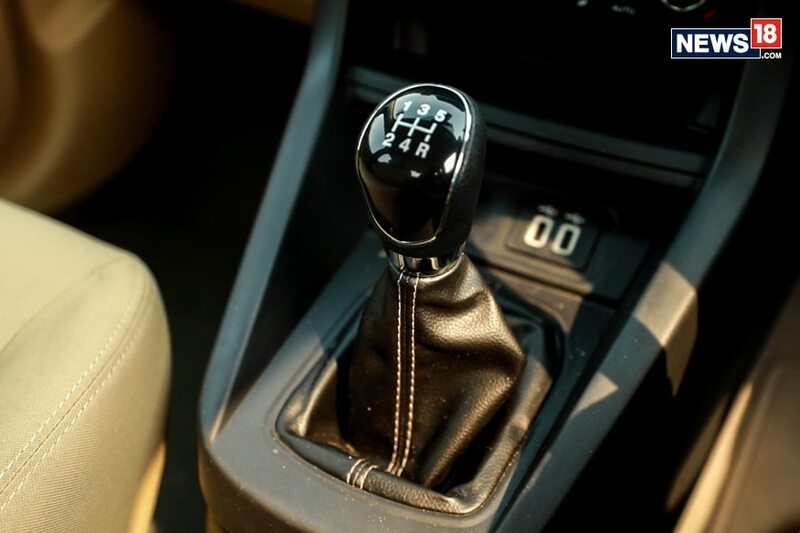 Ford cars are known for being great at driving and it is applicable on the new Aspire as well. 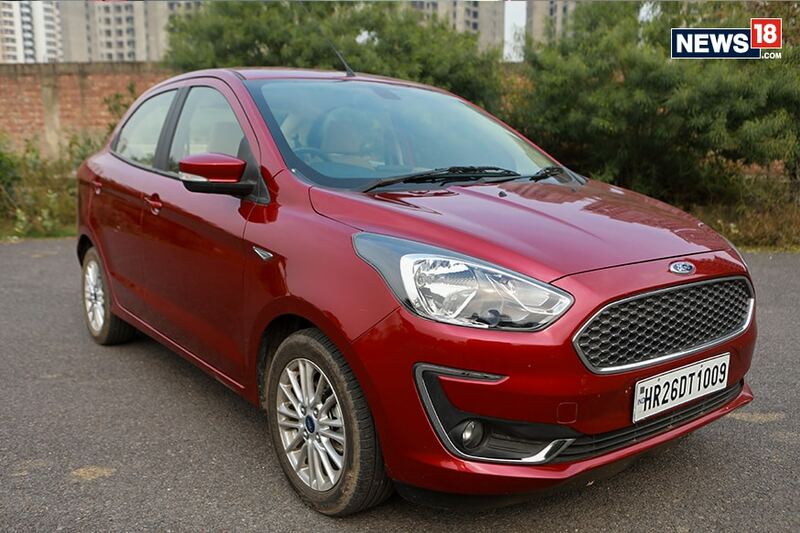 The other thing that Fords are known for is safety, and the Aspire offers that by offering dual airbags and ABS as standard across variants. The top-spec variant of the Aspire comes with six airbags around the cabin. The unit we tested came powered with the 1.2-litre three-cylinder engine which was first seen on the Ford Freestyle and it gets the same state of tune in the Aspire as well. The engine makes 96 PS of power at a sky-high 6,500 RPM and 120 Nm of torque at 4,250 RPM. This engine is peppy and when you drive it down low in the RPM range, it is calm and composed like a well-behaved child. 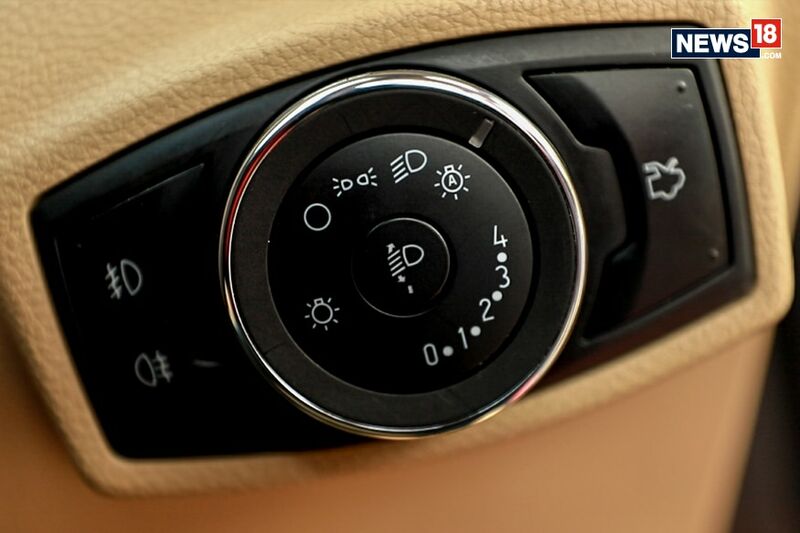 But, go past the 3,000 RPM mark and you are greeted with a throaty exhaust note and the car pulls ahead like a cat who is afraid of water, has just been in the water. The gear throws are short and crisp and the drivetrain feels just so engaging to shift through. That’s not it, the chassis is so good that it makes you believe that it can take much more power. And the driving feedback from the steering wheel and the brakes makes the car feel sublime. Yes, the ride quality is a bit harsh at low speeds but it just keeps getting better and better as the speeds climb. This is a proper driver’s car. Last but not least, the price. The new Ford Aspire is actually cheaper than the old Ford Aspire. And with that, it also undercuts the starting price of the Hyundai Xcent, Honda Amaze as well as the new Maruti Suzuki Dzire making it a sweeter deal than ever before. So to sum up the new Aspire’s experience. Well, if you’re in the market looking for a compact sedan then you might be looking for things like efficiency or practicality, but if you’re looking out for driving dynamics, then the new Aspire is something that we definitely recommend. Digital disruption is defined as the change that occurs when new digital technologies and business models affect the value proposition of existing goods and services. A clear sign of how these digital technologies have become omnipresent in our lives is our sheer dependency on smartphones and mobile apps. Almost every task nowadays can be done via our smartphones. There is an app for almost everything and a majority of them are available for free too. According to GlobalStats, Google’s mobile operating system, Android currently holds a 76.77% market share in Malaysia. This makes it the undisputed preferred mobile platform in the country. 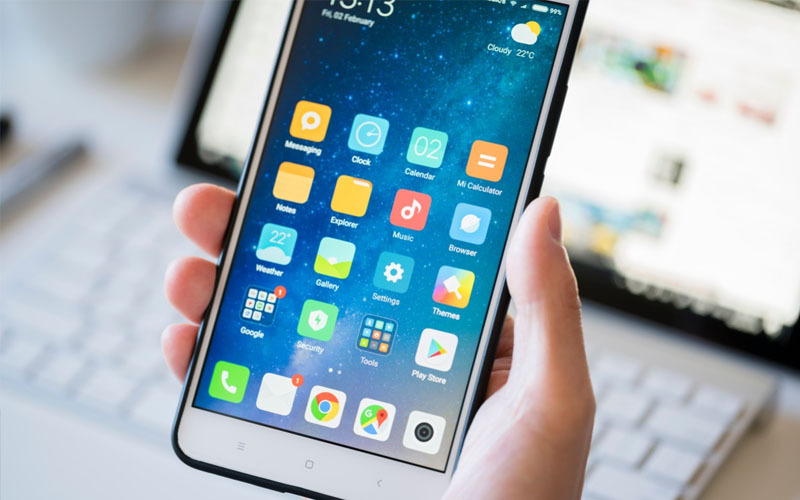 So, if you happen to be an Android user, here’s a list of 15 recommended apps you should consider having on your mobile device. 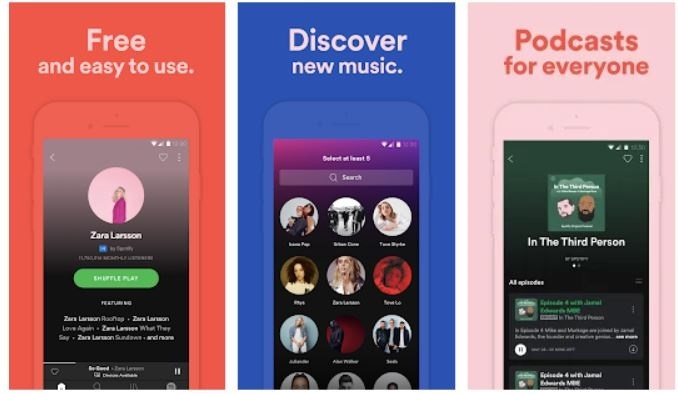 Excluded from this list is prominent apps that usually come bundled in your phone like YouTube, Facebook, Instagram, WhatsApp, etc. Let’s face it, nobody buys physical music albums anymore. With Spotify, you have access not only to a world of music but also podcasts. There are also ready-made playlists and personalised recommendations to suit your mood and taste. We’ve been there before. A song plays on the radio and we find it real catchy. But we have no idea what the title of the song is or who the singer is. 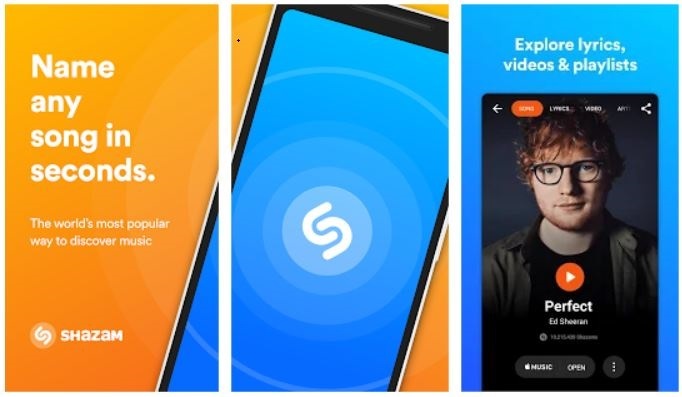 With Shazam, you can get the answer almost immediately. The average monthly bill for a cable TV in Malaysia can range between RM40 to RM200. If you rarely watch TV but still want to enjoy brilliant movies, series or documentaries at home or on the go, consider switching to streaming services such as Netflix. 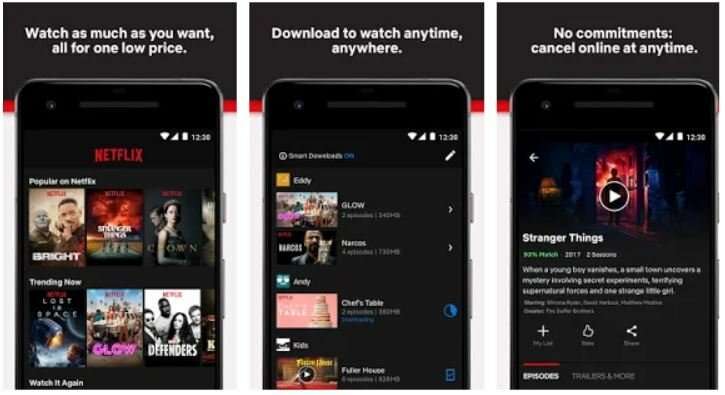 That being said, Netflix can be accessed for free for the first month but comes with a paid subscription starting at RM33 per month for subsequent months. By purchasing your movie tickets online, you not only get to save time but also ensure you don’t miss out on preferred seats. Of course, online purchases usually require you to become a member of a specific cinema chain. They do, however, come with plenty of additional privileges. So, whether GSC, TGV, or MBO, make sure you download the mobile app. For many of us these days, shopping simply means buying our favourite things through clicks and swift payments from the comfort of our homes. 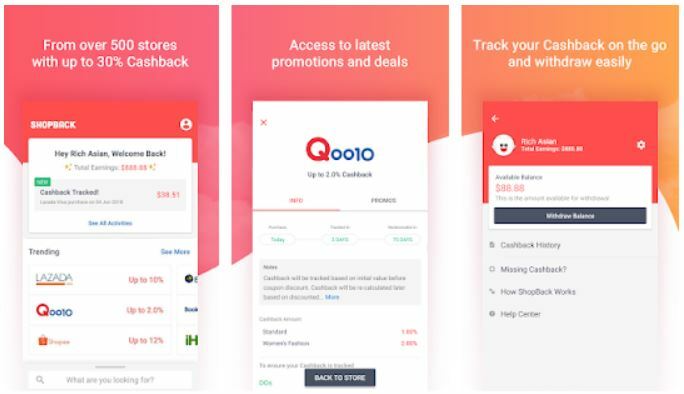 ShopBack takes online shopping to a whole new level by offering us cashback on all your purchases. With over 500 stores to choose from, you’ll definitely save more money. Let’s face it, everyone knows Grab by now. They started out as a ride-hailing app but have now evolved to include food delivery services besides offering a cashless payment solution. The popularity of social media apps such as Instagram has made it no longer acceptable to have “average” looking photos. Well, at least if you want to stand out, that is. 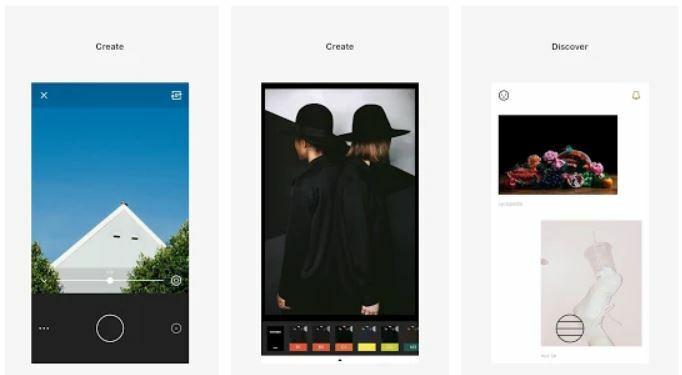 VSCO enables you to edit and filter your photos with superior but easy-to-use presets. This is one of the easiest ways to check your account balance, transfer money instantly, pay bills, and a lot more. 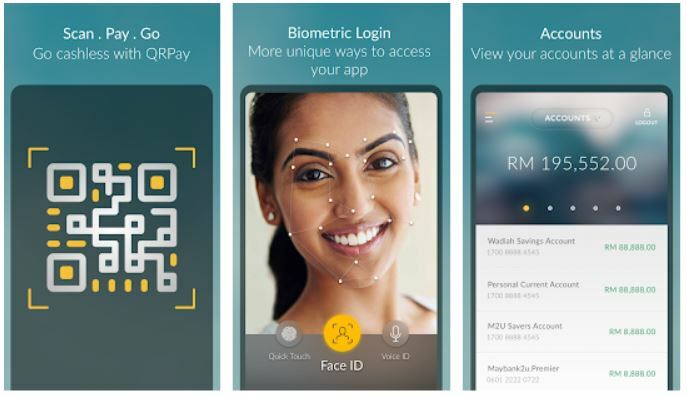 Plus, with Malaysia heading towards a cashless society, why would you want to queue up at banks anyway? 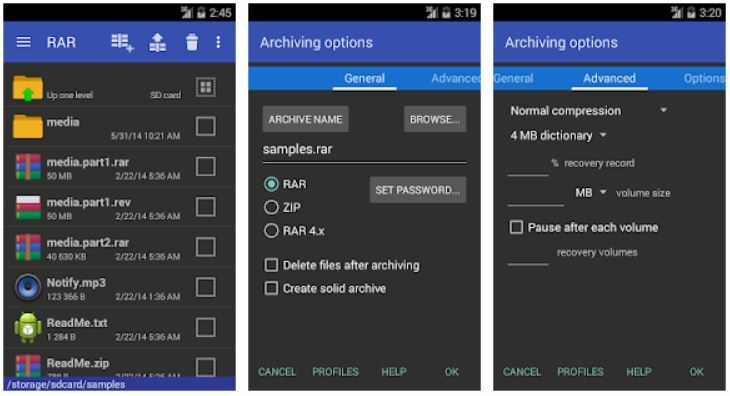 With more and more tasks being done on your mobile phone compared to a laptop or desktop, it is logical to have this compression and extractor app installed. LastPass is a password manager and password generator that locks your passwords and personal information in a secure vault. 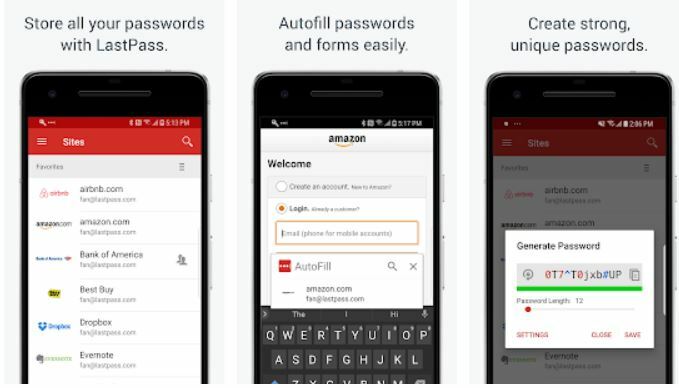 From your LastPass vault, you can store passwords and logins, create online shopping profiles, generate strong passwords, track personal information in notes, and much more. Yes, we purposely put this app as the 11th item on the list. 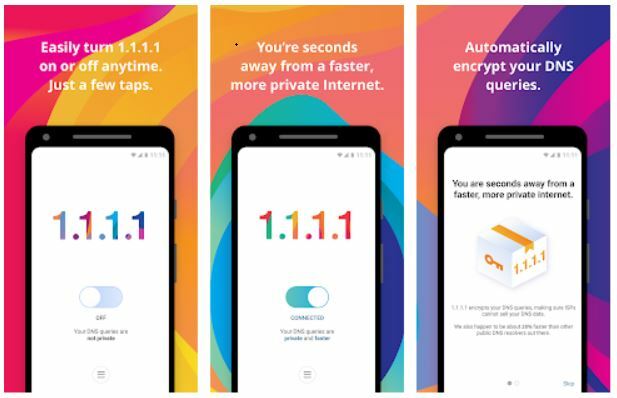 This app allows you to automatically encrypt your DNS queries. In non-technical terms, it means you have more privacy and security when you are online. Plus, it might even make your internet connection faster. One of the most effective ways to cut bad habits from your life is to track how often you do them. Once you see the patterns, it’s easier to break them. The same goes when you want to add some positive habits. 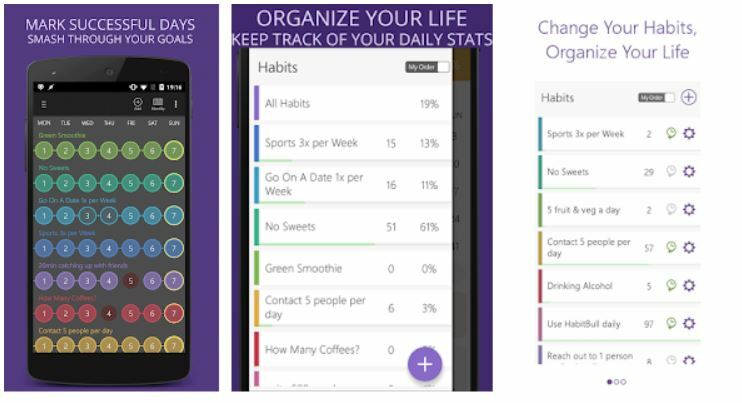 Keeping track of your day with Habit Tracker will keep you accountable and responsible. Exposing your children to the internet is inevitable. However, it is your responsibility as a parent to take control of what they access. 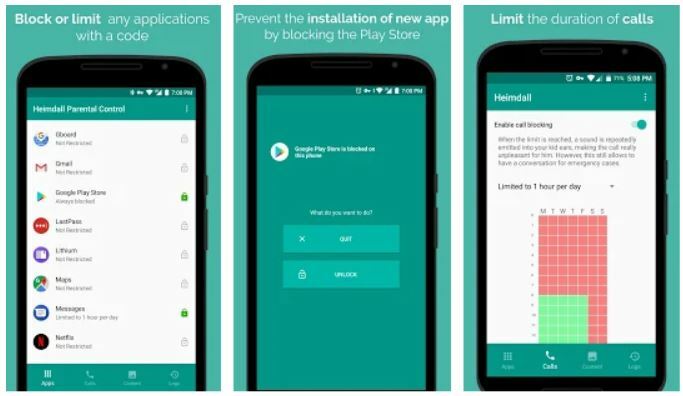 This app helps you protect your children by securing their phone or tablet and adding restrictions. 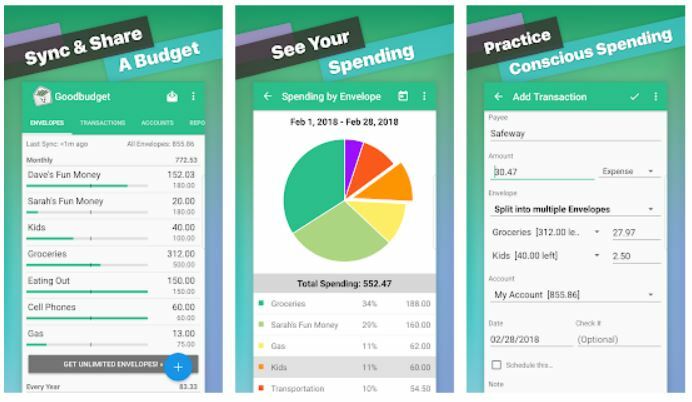 Based on a novel and time-tested budgeting system called envelope budgeting, the Goodbudget app helps you keep track of your income and expenses by putting each amount into a specific envelope. You only get to spend what’s in the envelope and save what’s left of it. 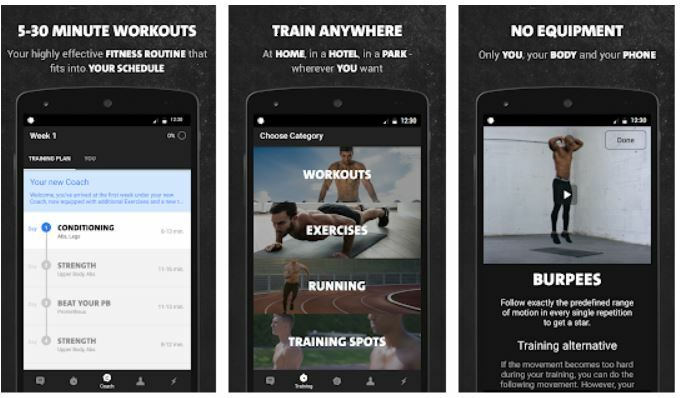 Using the Freeletics app is like having a personal trainer right inside your mobile phone. The artificial intelligence coach learns from your feedback and performance and then designs complete training plans customised for you. The app has over 140 types of exercises and more than 900 workout variations. This way you’ll never get bored and will be better equipped to avoid a plateau. Apple blocked Facebook and Google from running their internal iOS applications after the two technology giants were found to be flouting privacy norms. Facebook was reportedly tracking iPhone usage data of teenagers through its Facebook Research app, while Google was misusing iOS certificates and inviting its users to download an app called Screenwise Meter, which is not on the Apple store. The companies have taken advantage of Apple’s Developer Enterprise Program, which helps certain partners of the company to test and distribute apps – but only to test new features before releasing the final version to the public. Apple had revoked the certificates given to Facebook when it was revealed that Mark Zuckerberg-owned Facebook allegedly paid people, who were not its employees, to test out its research app. Enterprise certificates were restored for both tech firms later, but Apple has sent a strong message to them about respecting user privacy. Reportedly, Facebook paid people about $20 a month to install and use the research app. While Facebook says this was done with permission, the company has a history of defining ‘permission’ loosely and obscuring what data it collects. He said Facebook’s claim that users understood the scope of data collection was ‘muddying the waters’. This revelation is yet another blemish on Facebook’s track record on privacy and could invite further regulatory scrutiny. For now, the app appears to be available for Android phones, though not through Google’s main app store. When asked about its issues with Apple, Google said it had disabled the app on Apple devices and apologised for its ‘mistake’. The company said Google had always been ‘upfront with users’ about how it used data collected by the app, which offered users points that could be accrued for gift cards. In contrast to the Facebook Research app, Google said its Screenwise Meter app never asked users to let the company circumvent network encryption, meaning it is far less intrusive. Money is known to mar even the best of relationships. The conflict over cash could invade the privacy of spouses over something as innocuous as spending habits, rend the sibling bond over a legacy leading to legal disputes, or rip apart a friendship over borrowed money. While we do not aim to span the legal scope of financial disputes in this column, we will try to deal with financial dilemmas and reduce money-induced friction in relationships, be it family, friends or colleagues. Should you ask your colleague to return the money he borrowed and forgot? What do you do if your relative asks you to be a guarantor to a loan? What if your sibling wants you to be a partner in his startup? In this new series, we will help you tackle the awkwardness in a relationship caused by money. To start with, we explain what you should do if your adult child seeks financial aid. Should you give him whatever he asks for without considering its impact on your own financial situation? Or should you simply decline? Here are the six questions that will help you take a decision. 1. Is it a one-time help or has it been a frequent demand? Your decision should be based on the child’s track record regarding such demands. If this is the first time or a rare instance that he is asking for money, you could consider it. If you know him to be facing a financial crisis, or is in a phase of life where your assistance could set him up professionally, you can offer the money, but on the condition that it is returned in a pre-determined time frame. If, on the other hand, this is only one in a long list of monetary demands that have sprung up from time to time ever since he achieved adulthood, it’s high time you put an end to it. 2. Is it likely to impact your retirement? This is probably the most crucial question to ask yourself. If you do not have spare cash and dipping into your savings could slash your retirement corpus considerably, you should politely turn down the request. No startup or business venture is worth jeopardising your retirement. If the child needs the money to tide over a crisis, suggest alternate sources of funding: he can monetise his assets by taking a loan against his securities, insurance or gold; he can sell his less important personal assets; use his credit card to meet an emergency; or as a last resort, take a personal loan. He will probably have enough time to shore up his depleted resources, but you may not be able to do so if you have a few years left for retirement. Also, he can take a loan to meet his financial needs; you can’t do the same to fund your retirement. 3. Is the money for a life-threatening situation or buying an asset? If it’s the former, no parent can say ‘no’. In case of a medical emergency, parents would willingly empty out their coffers for their progeny. A better option is to be prepared for medical crises and advise the child to buy adequate health insurance. If such an option doesn’t exist, try to monetise your assets first. If, on the other hand, the money is for acquiring a big financial asset like a house or a car, make sure it is offered as a loan and that you retain the joint ownership for the specified asset. Also lay down the terms of the loan clearly, with no ambiguity over the amount, time frame or ownership. 4. Is the money to be given as loan? Except for medical emergencies, all funds offered as assistance to an adult offspring should ideally be in the form of loans. It is likely that you have already spent a small fortune on educating your children or for their weddings. If you have empowered the child to earn his own living and establish himself professionally, there should be few occasions for him to run to you for financial help. Avoid being the financial crutch for your child and let him meet his own financial challenges or find solutions to the crises he is facing. 5 Should you have a written agreement? If the sum you are offering your child as a loan is large, make sure that you draft a legal agreement, clearly delineating the loan terms, including the purpose of the loan, exact amount or principal being offered, interest rate, time frame for repayment, options in case of defaults, and any other conditions you want outlined. Even if the loan amount is not big, have a written contract in place to avoid family disputes later on. Both the parties should have a copy of the agreement and it should ideally be framed with the help of, and in the presence of, a lawyer. Do not be carried away by emotion and treat it as a business transaction to avoid an unlikely fallout at a later date. 6 Are the other siblings aware of it? While the level of privacy involving the financial help to an adult child may depend on the dynamics of the family concerned, it is advisable to keep the other siblings in the know to avoid family disputes over inheritance. Also, if you are not in a position to offer the entire sum yourself, the other siblings could be asked to join in and reduce your financial burden. Make sure, however, that all the transactions are in writing and all the parties have a copy of the agreement. In fact, you should also include the details of the loan in your will, so that if you die before the money is repaid, the amount can be deducted from the child’s inheritance and there is no ill-will involving other siblings. All of us have been in a financial dilemma when it comes to relationships. How do you say no to a friend who wants you to invest in his new business venture? Should you take a loan from your married brother? Are you concerned about your wife’s impulse buying? If you have any such concerns that are hard to resolve, write in to us at [email protected] with ‘Wealth Whines’ as the subject.